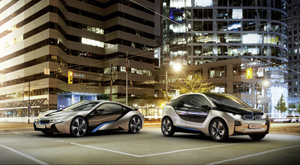 Companies from the German car maker introduced two new products, electric cars and i8 I3. Currently they claim to manufacture this car is still in concept stage. But if nothing gets in the way, they will market in 2013 and i8 I3 in 2014. 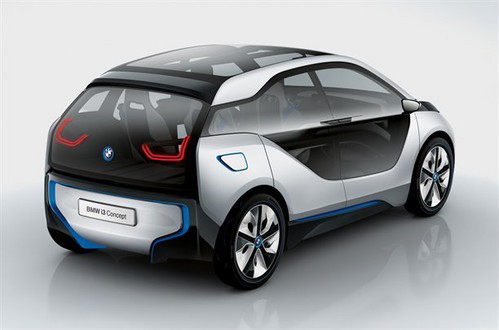 I3 cars can drive up to 93 miles and reached speeds of up to 60 mph in 8 seconds, which will take up to 80 percent of battery power. Tire rear of the car is powered Elektric full power, capable of producing 170 hp and 184 lb-ft of torque. Made of carbon fiber and aluminum, making it extremely lightweight car, 2755 pounds, or about 1350 kg. There are four seats and the trunk is very small. As for the i8, BMW offers a few luxuries. These cars use hybrid technology. There are three cylinder 1.5-liter engine tubocharger that can produce 220 ​​hp and 21 lb-ft of torque. BBMnya machine serves to provide power the rear wheels. Plus also supported wheel electric motors. If the two machines work together, i8 can reach speeds of 60 mph less than 5 seconds. Just like i3, i8 has 4 seats. "BMW i8 bring a new generation of sports car concept," said one employee of BMW.